AP Election Results - Will This Election Make Nara Lokesh A Hero? Home Politics Will This Election Make Lokesh A Hero? 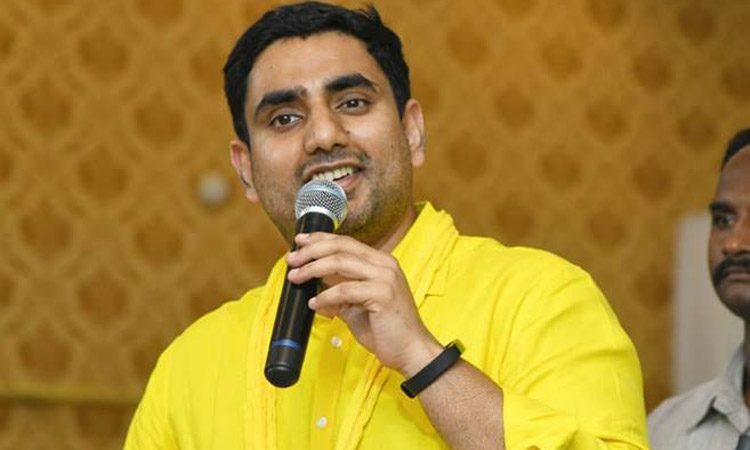 Nara Chandrababu Naidu’s scion, Nara Lokesh is contesting the first election of his life from Mangalagiri. This choice came as a surprise because TDP last won this seat in 1985 which means almost three decades back. In 2014 elections, TDP candidate, Ganji Chiranjeevi lost this election by just 12 Votes. It is quite common that Politicians try to field their sons in easy seats but that is not the case here. Interestingly, Chandrababu Naidu has not campaigned in Mangalagiri leaving everything to Lokesh. The IT Minister will emerge as a Hero if he manages to win this election with a good majority. While Lokesh fought the battled independently, YSR Congress did everything to defeat him. Along with Jagan Mohan Reddy, Sharmila, Mohan Babu, Jeevitha – Rajasekhar, and Lakshmi Parvathi have also campaigned to defeat the Nara Scion. Jagan had announced that he would make Alla Rama Krishna Reddy a Minister in his Cabinet if Lokesh is defeat. Election Commission had transferred the CIs of Tadepalli and Mangalagiri in the last minute so as to trouble Lokesh. TDP alleges that EC did that at the behest of the Central Government. Let us see if Lokesh will emerge as a Leader against all these odds. The suspense is on till May 23rd.